Start by thinking up some whiz-bang ideas (or even better, mockups) for amazing reports you’d like to see based on your Workfront data, then contact us so we can discuss it. 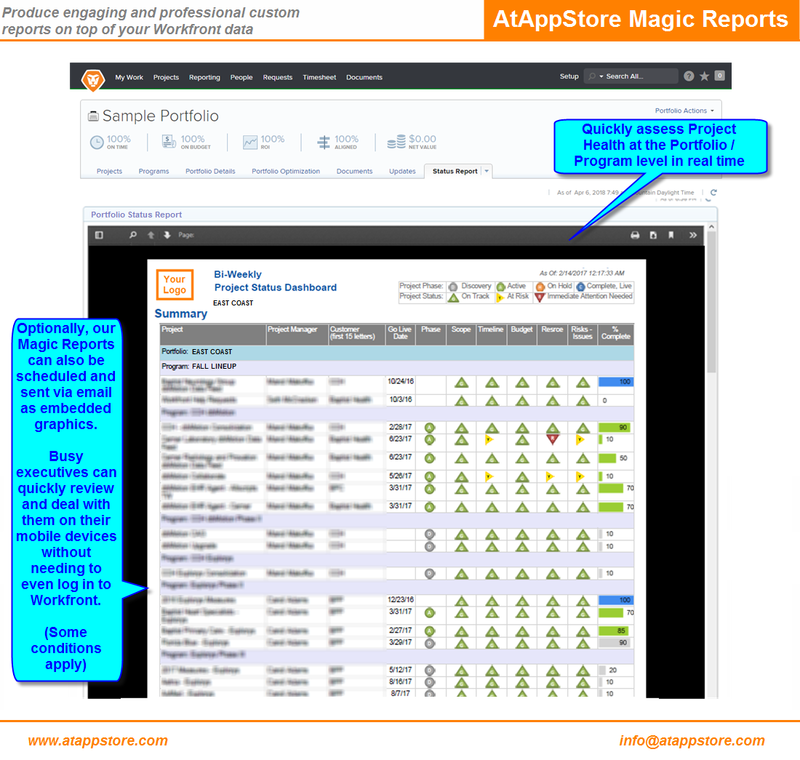 Our Magic Reporting solution allows us to quickly develop custom reports to your specification from almost any area within Workfront and present it in a number of formats, including text, grids, gauges, and charts. Once rendered, they can be printed, or saved to PDF, Word, Excel, or even sent via email — INCLUDING any graphics, right in the body of the email. This can be a powerful workflow advantage for situations where it is important to know that “if the email was sent, the recipient could see the report”, vs having to open an attachment or click a link. We will work with you to confirm the spec (including the data mapping, logos, fonts, colors, alignment, etc.) so we can give you a formal Statement of Work; most reports typically take between 8 and 40 hours to develop. 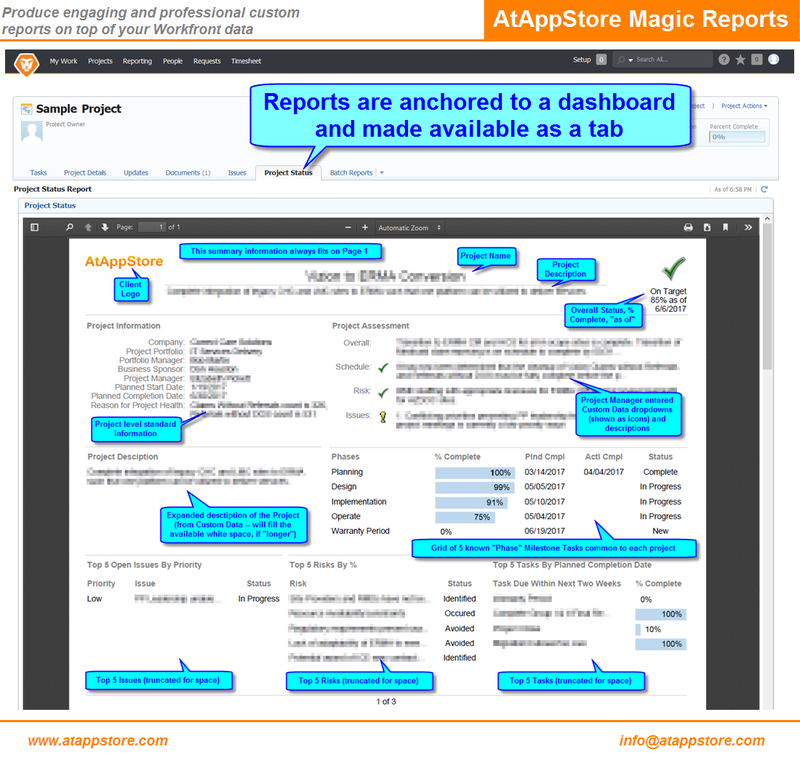 With your approval, we then develop the report(s), deploy to your environment (using external pages on Dashboards) and train you on how you can set defaults for Filters, Timeframes, and Groupings (as applicable). 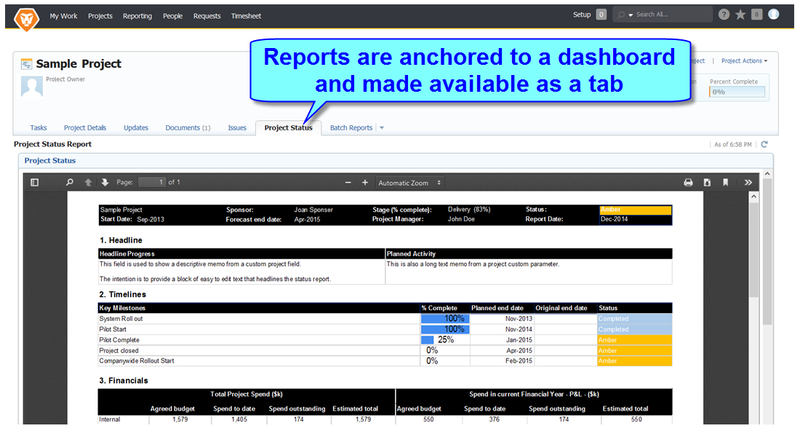 From there, you can then install them as you see fit: whether on common dashboards where users can select the settings they want before viewing the report, or Layout Template specific dashboards so the reports will automatically open to the ideal default information. The time savings created using these executive-ready documents (vs exporting to Excel and reassembling manually, for example) can be enormous. 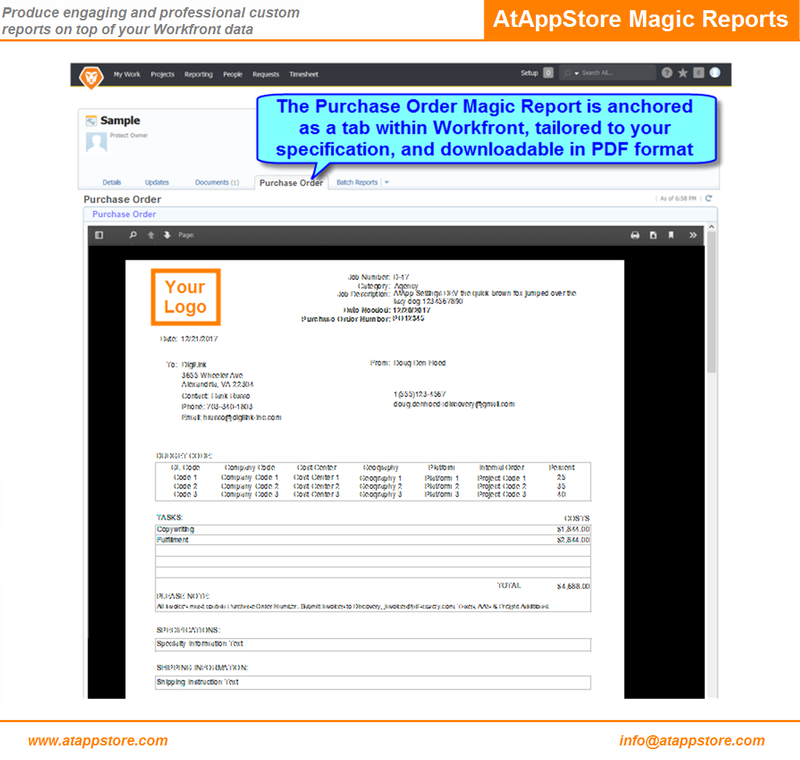 To maximize them even further, we also offer a way to Batch Generate reports. The results can either be downloaded to your computer, or (even better) automatically inserted with a unique name under a special folder, right in Workfront. 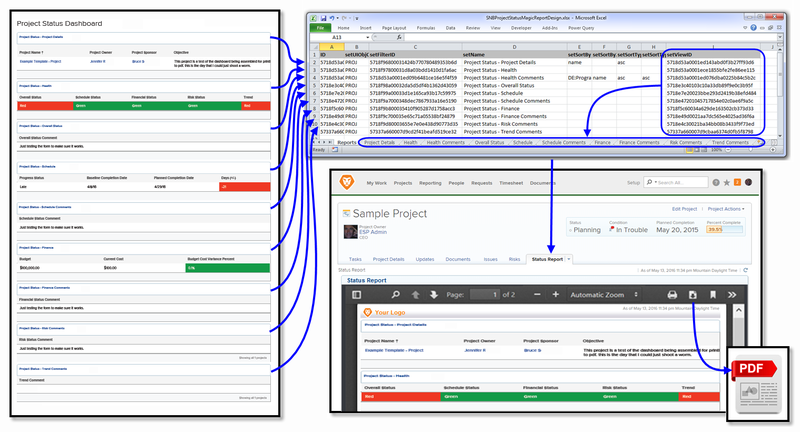 In this fashion, you can easily create a historical archive for reference purposes; and with the right notification settings turned on, leverage Workfront to inform stakeholders that the documents are in place and available.